When I was breaking down a box that contained a Lush order ready to pop the cardboard into the recycling I noticed that on the inside of the box Lush have printed some information on the various ways you can recycle or reuse their packaging. In case you've never spotted this, or have never ordered online, I though I'd do a post letting you know what you can do with any Lush packaging you have rather then just popping it in the bin. As I've just said if you've ordered online the cardboard box that your order comes in can go into cardboard recycling and this is also the case if you have any empty boxes from Toothy tabs. The little squishy foamy type bits that protect your order while it's on it's way to you are made from potato starch so they biodegrade quickly and can be added to compost bins or put around your house plants. If you have anything that is wrapped in cellulose, which is a clear film, this is made from plant materials and so again this can go in your compost bin or in with food waste. 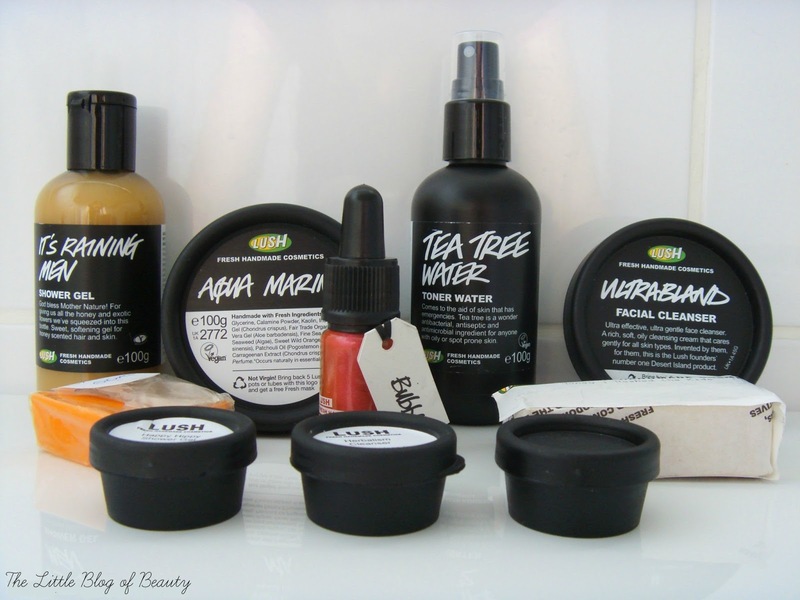 As I'm sure any Lush fan is aware (as it is printed on the pots) if you wash out five full-size black pots and take them back to any Lush store they'll reward you with a free fresh face mask. This doesn't include the little sample pots but if you're storing bigger pots to take back to store you can pop any sample pots you have in a bigger pot and take them back too. If you have any empty lip balm tins Lush suggest you can use these as travel tins, maybe to keep earrings safe, but if you don't want to reuse them you can pop them in recycling with your drinks cans. If you have any small glass jars like the ones the lip scrubs come in you can use them to put creams in to travel or otherwise you can return the lid to a Lush store and recycle the glass bottom in standard glass recycling. I actually have an empty lip scrub jar that I'll be decorating shortly to use for storing my rings and I'll write a post to show how I decorated it. If you have any shower gel bottles the lids can be returned to a Lush store and the plastic bottle can be put in plastic recycling. If you have any Emotional Brilliance bottles, although the actual applicator can't be recycled the glass bottle can be recycled as normal and again you can return the lid to any Lush store. Do you recycle your packaging? A great post! I didn't realise you could take the lids back into store! this might sound really silly, but do you have any advice on how to clean the lids of the pots? the pots themselves cleaned really well but I have product left in the little groove in the tops of the lids (on the inside) and I've tried scraping it and using scourers but it won't come out, I currently have the lids filled with water sat in my bath trying to soak it out, just wondering if you had an easier option? loved the blog post too! Would you happen to know if lush take the pots back without the labels on? Have reused so many of mine for storage pots and took all the labels off but now having a clear out as I have so many!